Thanks, Mary! 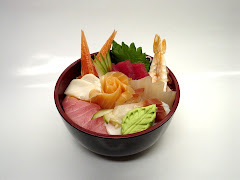 I DO love chirashi! Thanks so much for putting my story in your e-book! The interview questions were very thought provoking and actually helped me to think about a few issues that... well..I needed to think about ! I'm in the process of reading the other ladies stories now...great stuff!!! Connie! So good to see you here! I loved your interview. Are you all settled now in Japan? Hi Wendy! We are getting settled in and have just about all the "big" stuff done. We are realizing that both of us are now "beginners" again! I posted a link to you site on my blog. 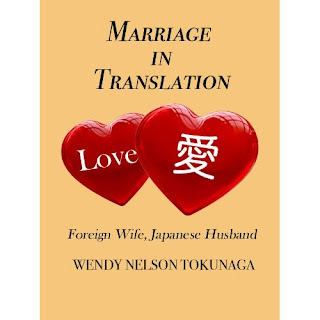 I'm currently writing my semester paper about your book (about how japanese in-laws react when their son/daughter marries a foreigner to be exact) and I wonder what category your book is?! I'm having a hard time to think of a name. I mean of course it's not a novel but...what is it?? :D Could you help me out? Would be really glad! Amazon also says nothing.. Thank you! Mali, how cool that you're writing about the book. Thanks! What category...well, that's a good question. :-) We are always wondering how to categorize it on the Kindle store, but that's not the same as how it would be "shelved" at a bookstore. Well, it's definitely non-fiction, but that's awfully general. And it's an "interview" book, which encompasses both sociology and psychology. It could be categorized as "cross-cultural relationships." I hope this helps! Thank you, Mali! Good luck! Blog is informative and impressive same time. I think more information should be provided in this blog!! Thanks! Yes, I need to update this blog more often, but don't have much time! 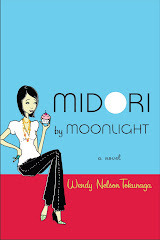 :-) Hope you can follow me at Twitter @Wendy_Tokunaga. I so much want to read this book; is it available as a paperback too? 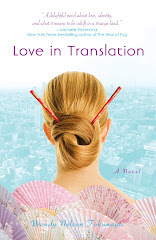 I can't find it on amazon.com and amazon.co.jp, apart from the Kindle edition. Thanks for your comment! Right now Marriage in Translation is only available in the Kindle edition, but we're looking at making other versions available. Thanks so much for your interest! Dear Wendy, thanks for the reply. This book was so lovely.It should have been translated in different languages.Very informative and so true.Thai translation or in any translation it would be a blast. Thanks so much! Hopefully someday it might be translated into Japanese at least!